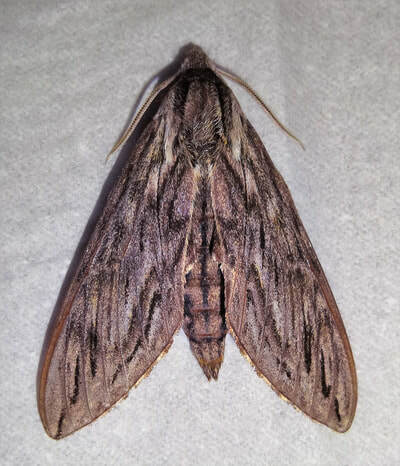 The genus Sphinx has 10 species in the USA, and about 29 around the world. 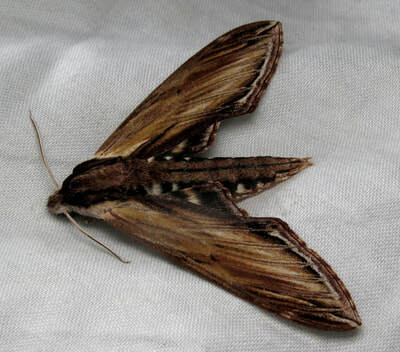 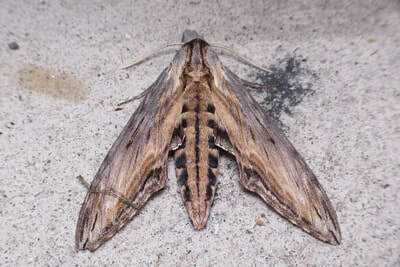 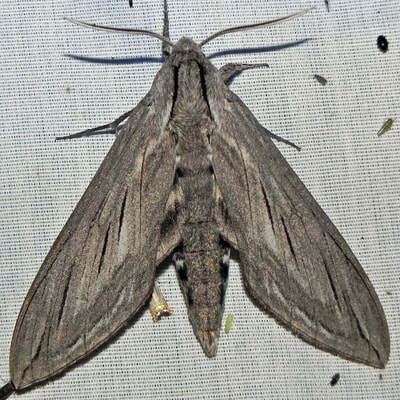 General Information: These are medium to large moths, most have mottled forewings of various coloration. 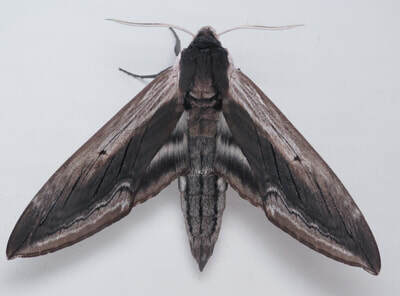 The abdomens often have spotting running down the sides.